EDINBURG — A former Palmview police dispatcher on trial for murder stared straight ahead Friday as autopsy images of his former girlfriend were projected in the courtroom, the forensic examiner detailing the fatal injuries the young woman sustained when the sports car she was riding in slammed into a expressway overpass support pillar. 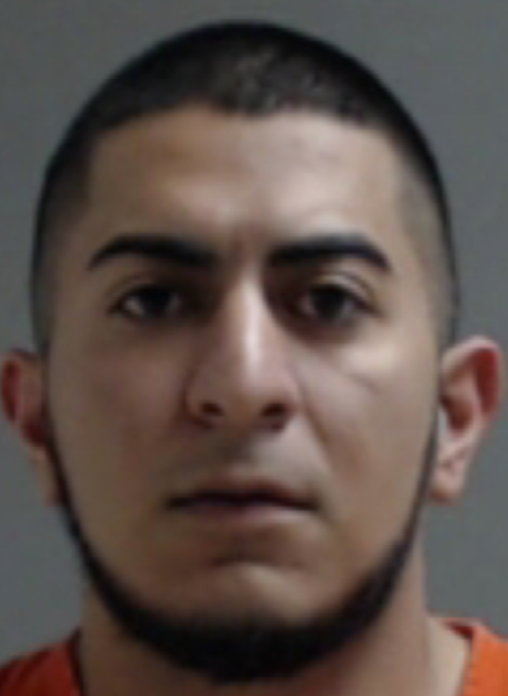 The photos of 21-year-old Kryztal Luna, who died from blunt force trauma to her head and upper body, represented the loss of the promising future ahead for Jacobo Rivera, 24, when he got behind the wheel of the red Mustang in August 2016 after a night out in downtown McAllen. He had given a promise ring to Luna and the two had discussed marriage, and he was on his way to fulfilling his dream of becoming a Palmview police officer. In addition to murder, Rivera faces manslaughter, evading arrest or detention causing death, and evading arrest or detention causing serious bodily injury charges. The trial began Tuesday and resumed Friday following two days of delays. If convicted of the most serious charge, Rivera could face up to life in prison. Prosecutors allege the accident occurred after Rivera attempted to flee a DPS trooper who was trying to pull over him for speeding. In a photo DPS took of the crashed car, the speedometer read 85 mph. Jurors were shown photos of debris from the vehicle that littered the intersection of Showers Road and the West Expressway 83 frontage road, as well as photos showing tire marks, red paint and Luna’s hair extensions on the concrete pillar. Friday’s testimony by two DPS troopers who arrived on the scene foreshadowed future testimony by DPS troopers and Palmview police officers, who the prosecution told jurors on the first day of trial would testify about Rivera’s efforts to protect himself after the crash. One of the troopers testified that Rivera was uncooperative and would not answer his questions at the scene, such as whether he had been drinking or where he was coming from. The trial resumes Tuesday as the courthouse is closed Monday in observance of Veterans Day.